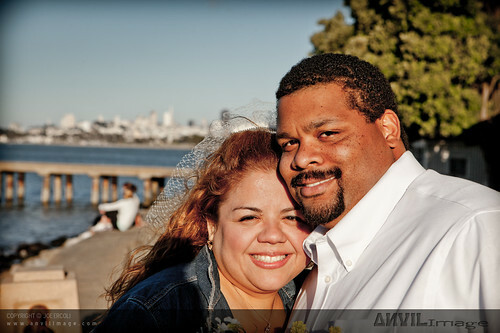 I got the call from Azeneth letting me know that she and her husband, Willie, would be on their honeymoon in San Francisco and that she wanted to surprise her husband by hiring a photographer for portrait session as a wedding gift. Being from New York they didn’t know their way around so I got to play tour guide as our photo adventure took us around SF. 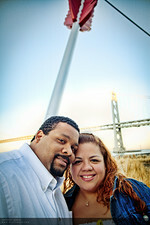 We met up in the late afternoon at the Legion of Honor where we grabbed a few shots with the SF Skyline in the background, in front of the fountain, and finally in front of the Legion itself. Funny, I’ve shot there quite a few times, but I think this is the first time in the daylight! 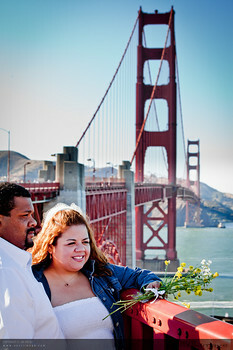 Azeneth told me that they really wanted a shot with the Golden Gate, so we zipped over to the vista point by the toll plaza and also down below to Fort Point to get a few shots with the bridge. 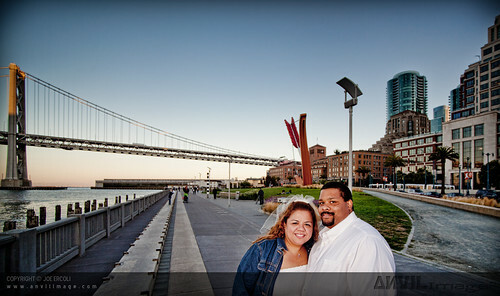 As the time in our session was drawing to a close, I knew I wanted to get one more iconic SF spot for photos so we headed clear across town to the Cupid’s Span sculpture on Embarcadero. 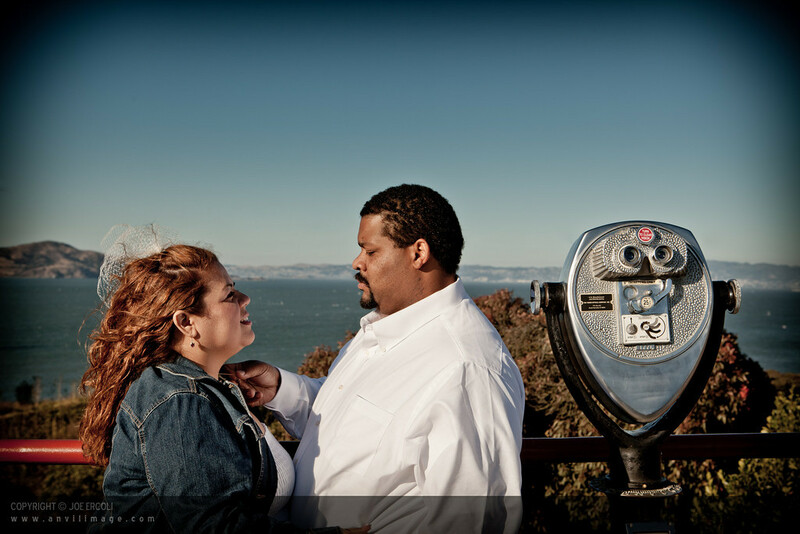 Thank you, Azeneth and Willie, for sharing part of your magical San Francisco weekend and congratulations on your wedding! Update: Joey Chandler wants more… well, ask and ye shall receive! 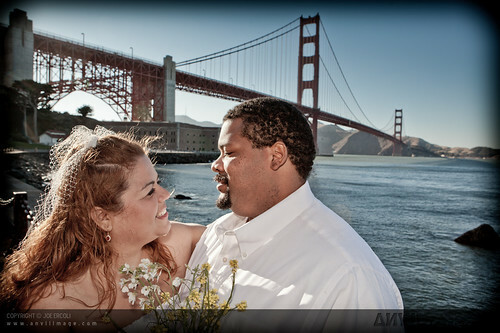 This entry was posted on Wednesday, September 1st, 2010 at 5:47 pm	and is filed under Blog, Photos and tagged with candid, Golden Gate Bridge, honeymoon, portrait, San Francisco, wedding. You can follow any responses to this entry through the RSS 2.0 feed. Nice shots but I want to see more!! 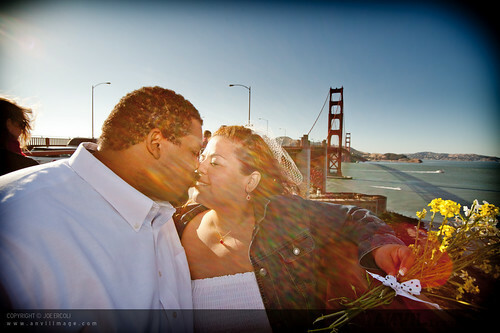 Love the idea of Honeymoon shots – definitely makes for a great gift. Thanks, Joey! See above… I added more!